Charity Event will Feature Auction of Fine Art and Fashion; Plus Dancing to the Philly Funk Authority. For tickets, tickets, Reaching High Notes with Philly Funk to Benefit JAACF org. 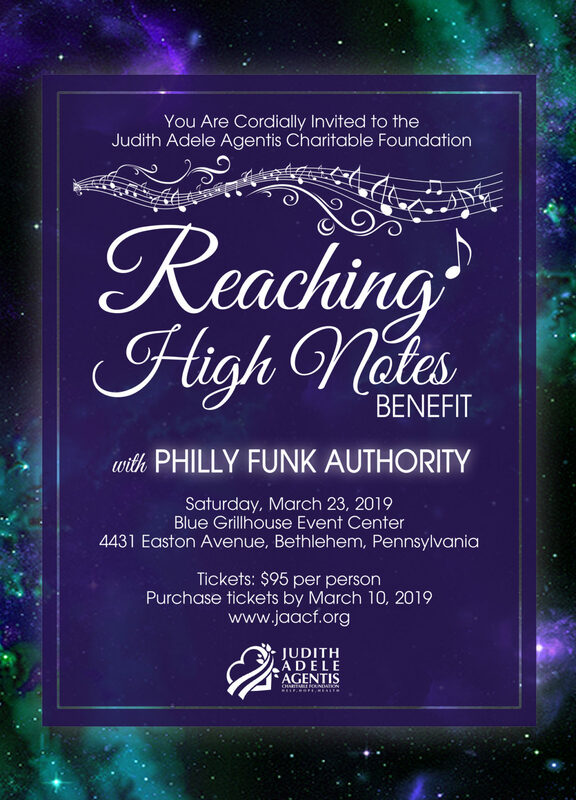 BETHLEHEM, Pa (Newswire.com) – Reaching High Notes, the Judith Adele Agentis Charitable Foundation (JAACF) annual dinner gala will be held Saturday, March 23, 6 to 11 p.m., at Blue Event Center in Bethlehem. The night of entertainment includes a cocktail/cabaret hour by Ginger and The Schnappes and dancing to the sounds of The Philly Funk Authority. Tickets are $95 per person and include passed hors-d’oeuvres, a three-course dinner of filet mignon, signature crab cakes, roasted vegetables, and dessert. A vegan option is available. Guests may bid on fashions from Lara Bly, travel, lessons and fine artworks by Rigo Peralta, Ward Van Haute, Randi Keeler-Sigafoos, Tina Cantelmi, and other artists. “We depend on the generosity of local businesses and supporters,” says Robert Agentis, JAACF chairman. He says JAACF board members and volunteers have delivered more than 15,000 meals to family members spending precious last moments with a loved one at St. Luke’s Hospice House. The Judith Adele Agentis Charitable Foundation was the recipient of the PA Hospice Network Heart of Hospice Award and was awarded the Shining Star Award from St. Luke’s Hospital Network. In addition to meals, JAACF provides funding for early cancer detection education for pancreatic, liver and colon cancers. 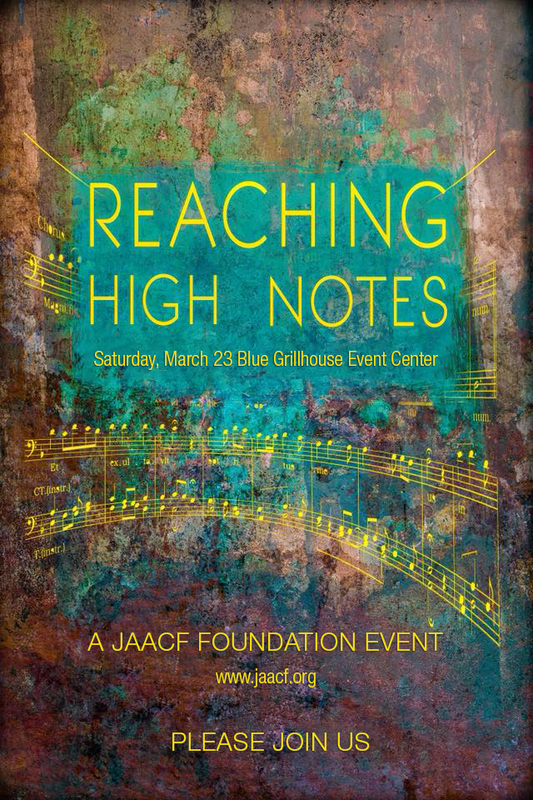 For tickets, Reaching High Notes with Philly Funk to Benefit JAACF org. For more information, visitJAACF.org; find us on Facebook, or email us at ba.jaacf@gmail.com. The mailing address for JAACF.org is P.O. Box 22075, Lehigh Valley PA 18002.